Spread the joy of this magical season by adding this charming accent pillow to your holiday home. Beaded and embroidered artistic details lend a creative way to express a nostalgic holiday affirmation that is accented with red berries and holly leaves. Let the festivities begin this holiday season by integrating this decorative pillow into your holiday home. An assortment of red and metallic embroidered Christmas trees, varied in all shapes and sizes, burst off the neutral gray ground creating a striking and modern appeal. This decorative pillow combines the perfect blend of holiday charm and stylish sophistication to your festive decor. Entirely embroidered, the mix of the metallic yarns against the dark gray ground creates a subtle yet noticeable balance across the pillow landscape. Spread the joy of this magical season by adding this charming accent pillow to your holiday home. Featuring woodsy elements, the soft blue ground is a subtle but striking contrast to the shimmering embroidery of this festive scene. This decorative pillow will add the perfect blend of holiday charm to your festive decor. The light gray ground gives a subtle yet striking variation from the red, gray and white embroidery that is highlighted with a metallic silver shimmer. Let the festivities begin this holiday season by bringing this decorative pillow into your holiday home. The mix of shiny yarns against the matte Christmas red fabric creates a nice textured balance across the pillow landscape. This Scandinavian inspired decorative pillow captures a city scene on a snowy Christmas day. The colorful houses are brightly embroidered on a Christmas red ground, while the snow capped roof tops and street are appliquéd with festive mini pom pom trim. This decorative pillow combines the perfect blend of holiday charm and stylish sophistication to your festive decor. Embellished with sparkling crystal-like jewels, the ribbon embroidered snowflakes form a striking contrast against the dark gray ground the detailing of the French knots in the snowflake silhouettes. Spread the joy of this magical season by adding this charming accent pillow to your holiday home. Beaded and embroidered artistic details display a nostalgic red truck carrying a tree fresh from the farm. The winter white textured background resembling snow. Adding some fun to the season, this charming holiday throw pillow features an embroidered and appliquéd bicycle atop a soft, gray felt ground. The button at the center of the wheel ties it all together, while, the red welt cord adds contrast and a sprinkle of merriment to this decorative pillow. Bringing his own version of holiday cheer, this handsome moose has a special delivery for you on Christmas day. Appliquéd and embroidered artistic details display a festive moose dressed to impress this season with shimmering red ornaments dangling from his profound plaid antlers. It's beginning to look a lot like Christmas as this decorative pillow sets a jolly tone for your holiday home. Printed with a metallic silver ink, the iconic tree silhouettes stand out from the Christmas red ground creating striking and sophisticated festive ambience. It's beginning to look a lot like Christmas as this decorative pillow sets a jolly tone for your holiday home. Printed with a metallic silver ink, the iconic tree silhouettes quietly stand out from the textured, gray ground creating subtle and sophisticated festive ambience. This decorative pillow combines the perfect blend of holiday charm and stylish sophistication to your seasonal decor. Embellished with appliquéd plaid evergreens on a festive red ground, the embroidered scene exhibits a cozy herringbone cabin with snow capped roof settled among a tranquil forest. Irresistibly timeless, this decorative pillow adds a touch of farmhouse charm to your festive decor. The red and black brushed background gives a soft, flannel-like feel to this bold, buffalo check making it the perfect addition to your holiday home or versatile enough for use year-round. Adding a Scandinavian touch to your seasonal home, this decorative lumbar pillow is intricately embroidered using a myriad of stylized motifs. Festive colors of turquoise, green, red, and pink are accented with metallic silver highlights for a hint of holiday shimmer. Spread the joy of this magical season by adding this charming accent pillow to your holiday home. Embroidered artistic details display a red cardinal perched atop a holly branch comprising of hanging ornaments, holly leaves and berries. The traditional Christmas colored embroidery coordinates perfectly to the neutral. Adding a Scandinavian touch to your seasonal home, this decorative lumbar pillow uses a white, chain stitch embroidery for a myriad of stylized snowflakes and vines. The Christmas red velvet ground has a sumptuous feel and adds a silky texture to its modern style and folk-art flair. Reminiscent of lighted village houses, this decorative accent pillow sets the snowy scene of a cozy town in a winter wonderland. Intricately detailed, each quaint home is appliquéd or embroidered using various materials to give it a three-dimensional feel and contrast against the Christmas red ground. Add a touch of warmth, excitement, and holiday cheer to your home with this embroidered and appliquéd lumbar throw pillow. The snowman playfully pops off the Christmas red background setting the mood, "Let it snow, let it snow, let it snow" complimenting its festive and playful feel. Playfully tangled in Christmas lights, this furry friend is happy to help with this season's decorating. A beaded string of lights is wrapped around the appliquéd pup who is sitting on a natural canvas ground with a silver shimmer. This decorative lumbar pillow displays this witty holiday affirmation in gold metallic embroidery. Give any setting a festive look and feel with the cheerful designs and lovely textures featured on these cozy Holiday decorative pillows from Martha Stewart Collection. Give any setting a festive look and feel with the cheerful designs and lovely textures featured on these cozy Holiday decorative pillows from Martha Stewart Collection. Give any setting a festive look and feel with the cheerful designs and lovely textures featured on these cozy Holiday decorative pillows from Martha Stewart Collection. Bring a festive feel to any bathroom's decor with the shimmering snowflake embroidery accenting the crisp geometric jacquard borders of these super-soft cotton towels from Martha Stewart Collection. 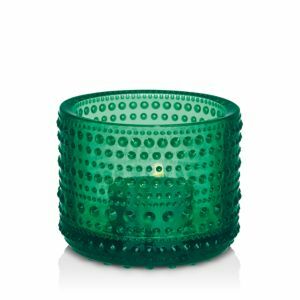 Handcrafted votive. Designed by Ann Warff. Crystal. 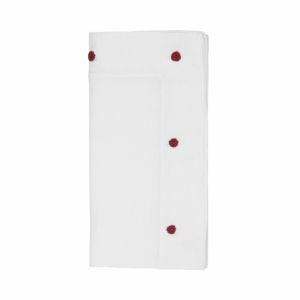 Sweden Bring charming holiday nostalgia to your bath with the Spode Christmas Tree Cotton hand towel from Avanti. The iconic conifer silhouette is beautifully embroidered on this cotton velour towel with holly accents and festive red trim. Handcrafted square platter. Hand-painted with golfing Santa scene. Terra bianca. 12"Sq. Dishwasher safe. Made in Italy. Handcrafted oval platter. Hand-painted details. Terra bianca. 20"L x 16"W. Dishwasher safe. Made in Italy. Handcrafted handled round platter. Hand-painted terra bianca. Polyester. Machine wash. Table linens with holly border. Polyester. Droplet design evokes rain-streaked glass and morning dew. Pressed glass. Dishwasher safe Cotton sateen napkin. Juliska's table linens bring just a touch of texture to holiday meals. Porcelain dessert serving tray featuring festive penguin family design. Approx. 12"L. Dishwasher/microwave safe. Porcelain cake plate with geese design. Footed base. Assorted cocktail plate collection with Twelve Days of Christmas theme designs. Ceramic stoneware. Includes storage case. Fine earthenware. Sets of 4. Dishwasher and microwave safe; oven safe to 225 degrees. Made in England. Bring the classic style of the English countryside to your table with this Woodland place setting. The majestic turkey is illustrated in great detail and framed by Spode's 1828 British flowers border in this historic dinnerware pattern. Fine earthenware. Sets of 4. Dishwasher and microwave safe; oven safe to 225 degrees. Made in England.